Australia is a continent, a country, and collective of diverse cultures and peoples. The Australian peoples have, therefore, created a great body of various art forms over millennia, not just centuries. Australian art is represented by Aboriginal, Colonial, Convict, Atelier, European influenced Modernism, and Contemporary arts. Notable movements within Australia include the Heidelberg School, Hermannsburg School, Western Desert, Contemporary Indigenous, High Modernism, and Post Modernism. Australia was populated by the ancestors of its aboriginal peoples over 60,000 years ago from Southeast Asia. Some of the oldest continuing traditions known to humanity are practiced by indigenous Australians and include arts, music, and spiritual traditions. The first European discovery of Australia was claimed by the Dutch and by 1770, English Explorer James Cook claimed the island continent for English colonization. England created six colonies in Australia, including the famous penal Colony at Botany Bay. Colonialization led to disease and death amongst the aboriginal tribes, much as the colonization of the Americas did to the indigenous peoples of those continents. Aboriginal art found in caves is as old and abundant as the cave paintings of Europe. 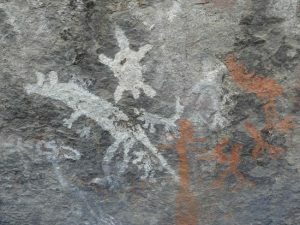 Two sites have been named UNESCO heritage sites and many pieces of rock art are within the boundaries of protected parks. The three major styles of Aboriginal art are Geometric, Simple Figurative, and Complex Figurative. Geometric designs often consist of concentric circles and dots; simple figurative of silhouettes and drawings of spiritual beings or animals; and complex figurative of “x-ray” art depicting figures with their inner organs or bones visible. Much of Aboriginal Art is devoted to the spiritual culture surrounding the Dreamtime. This complex spiritual tradition seems to embrace the idea that we existed before we were born and will exist after except that time is not a before and after but an always. It is too complex to explain in language outside of that of the aboriginals. It is a common thought that the “English” will never be able to understand the Dreaming. It is from the Aborigines that we get the returning boomerang. Throwing sticks have been found the world over, but the indigenous Australians created the only one that comes back when thrown. Ceremonial boomerangs are highly decorated with various forms of art. The first European art created in Australia was for scientific and exploratory purposes and was created by explorers or artists, botanists, and biologists brought along to document discoveries for Europe. 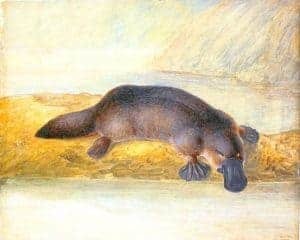 Artists like Sydney Parkinson, a botanist on James Cook’s ship, worked with naturalist Joseph Banks to document the fantastical creatures they saw on their voyage, such as the platypus. Unfortunately, these drawings were not well received when they returned home and were seen as a hoax. Landscape artists in the colonial period depicted Australia in both realistic and stylized forms. Artist John Glover recorded Australia’s landscape as it was, while artists like Conrad Martens, a peer and colleague of Darwin, softened and romanticized his paintings for the European viewer. Convicts from all walks of life and professions were sentenced to the penal colony of New South Wales. 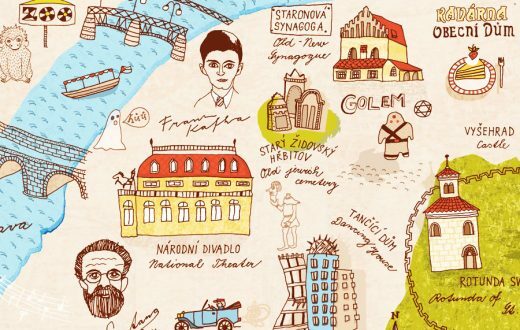 Some of these convicts were artists. Because most of the free artists of the period were depicting Australia by European art techniques, traditions, and styles, it is from the convict artists that historians get the best picture of what Australia was really like in that time. Convict artists did not have a concern over flattery, vanity, and accolade, so they were more apt to show things as they really were, no matter the subject. One convict artist, W.B. 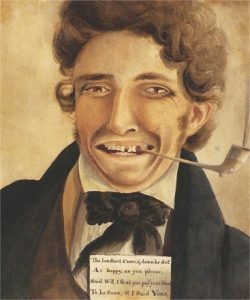 Gould is known for The Landlord, a portrait in which he dismisses the common practice of showing higher personages with closed mouths to hide their failing teeth. He shows the landlord with gap toothed grin and pipe in his mouth. This painting represented the comeuppance of average men into wealth and their lessened concern with the high society practices that went along with success in Europe. Gould was recording the emerging values and personality of a nation. The 1880s saw a new movement in art when Tom Roberts and Arthur Streeton established a camp near Heidelberg on the edges of Melbourne where they, with other artists, established a style of plein air, impressionistic painting that for many defines Australian Art. Their paintings idealized the pioneer, the Outback, and the pastoral landscapes of the continent. 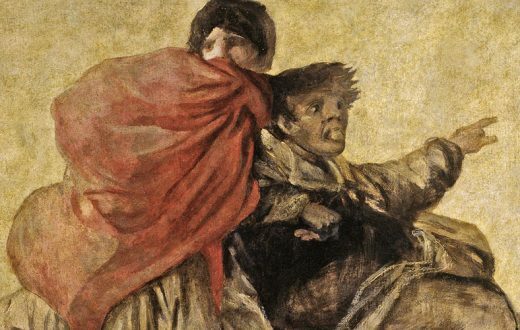 Because so many Australians were living in urbanized areas during this period, Heidelberg paintings gave them an escape to a romanticized pioneer life. 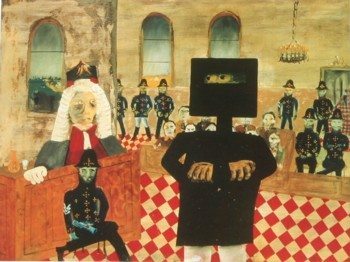 The notorious outlaw come hero, Ned Kelly, was a frequent subject of art at the time of his trial and thereafter. He is an icon of the nation and is most often pictured with an iron box upon his head. Australian artists worked in psychological concepts as much as their peers in Europe and the Americas did. Painter Albert Tucker was known for his disturbing and confronting pieces that featured carcasses, Sidney Nolan for his obsession with Ned Kelly, and Russell Drysdale for his recording of the fading dreams of opportunity in the bush.